Learn how to beat Cookatiel in Super Mario Odyssey. This guide provides a few strategies that you can use to defeat him during the first battle. 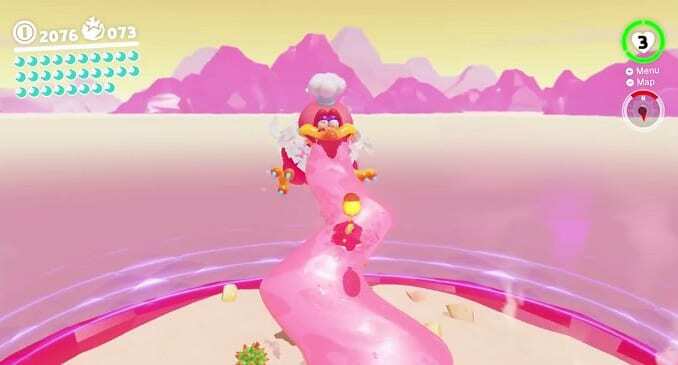 Cookatiel perches on Mount Volbono in Super Mario Odyssey. It is the boss encountered in Luncheon Kingdom. 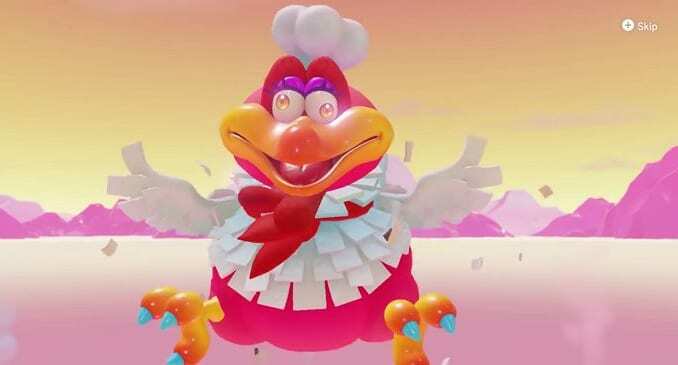 Super Mario Cookatiel as the name implies, is a bird that loves to cook. It has a magenta colored down and dons a chef’s hat complete with clothing and a red necktie. 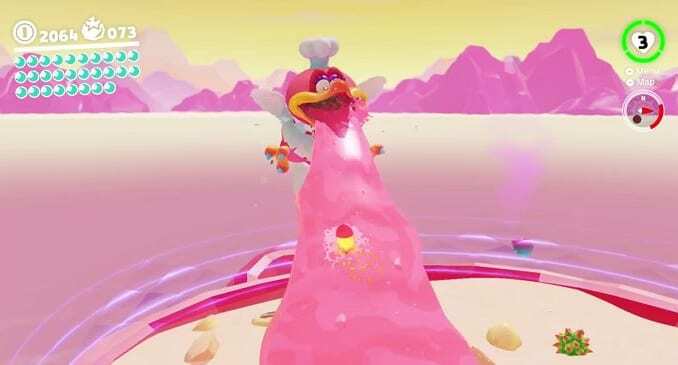 While in Lava Bubble form, Mario encounters this boss roosting on the peak of Mount Volbono. 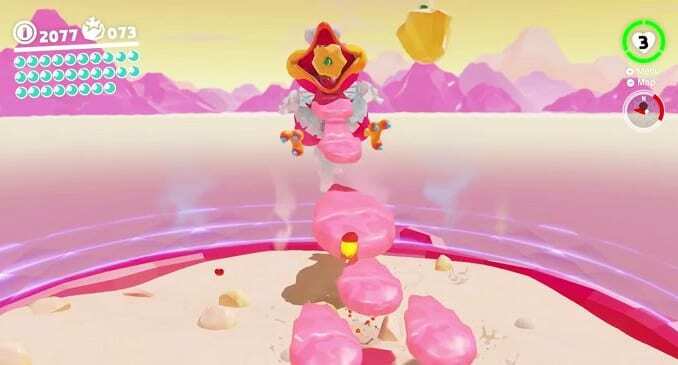 As soon as the boss battle starts, the bird launches piles of bell peppers and prickly fruit to which Mario must dodge by taking cover behind the softer mounds of food. After a round of projectiles, it follows up with a bridge of lava barf. Mario must leap on top of the stacks while avoiding the occasional thorny fruits to inflict damage. Once Mario returns to the ground, the boss continues to toss an even greater barrage of food. Do the same tactic to dodge these hazards, then ascend the zigzag barf path with some fancy footwork. For the third time, continue dodging the heaps of food until it repeats its last bout of magma puke. Similar to before, make haste to reach the top of the stacks then make the leap to launch a devastating blow on its face to defeat it.